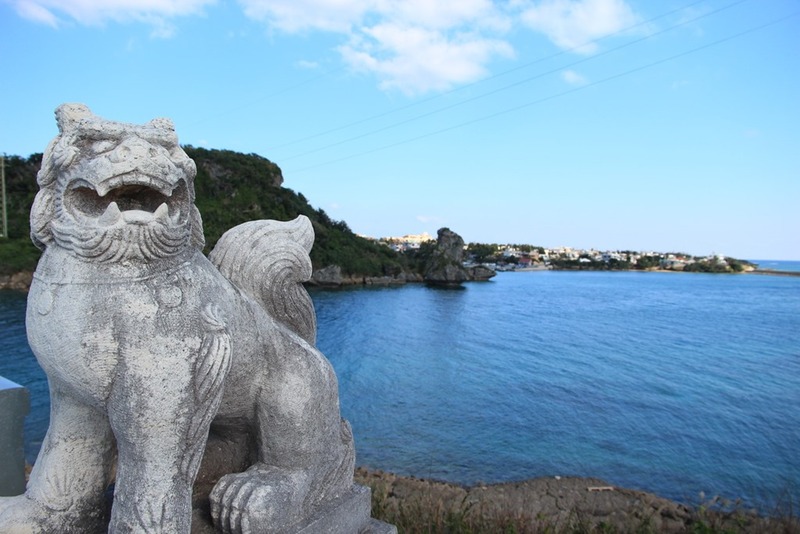 Mr. Selfish and I spent two days in the Nago area of Okinawa. 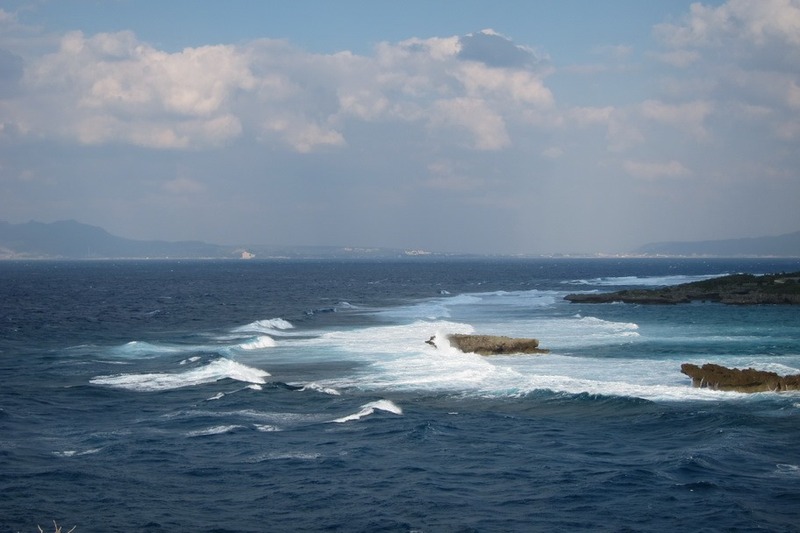 As a subtropical area, Nago has its fair share of beautiful beaches. 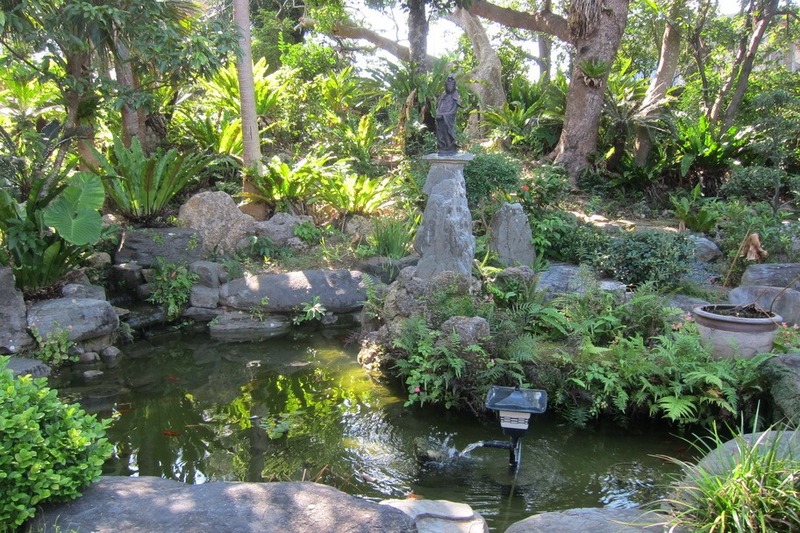 However, since we were visiting during winter, we didn’t know how much there would be to do in the area. 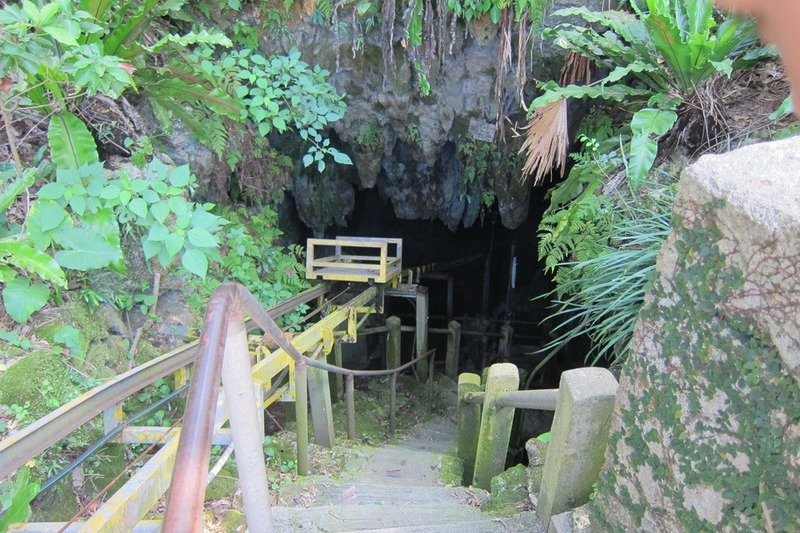 Fortunately, there are numerous noteworthy sights in the Nago area. 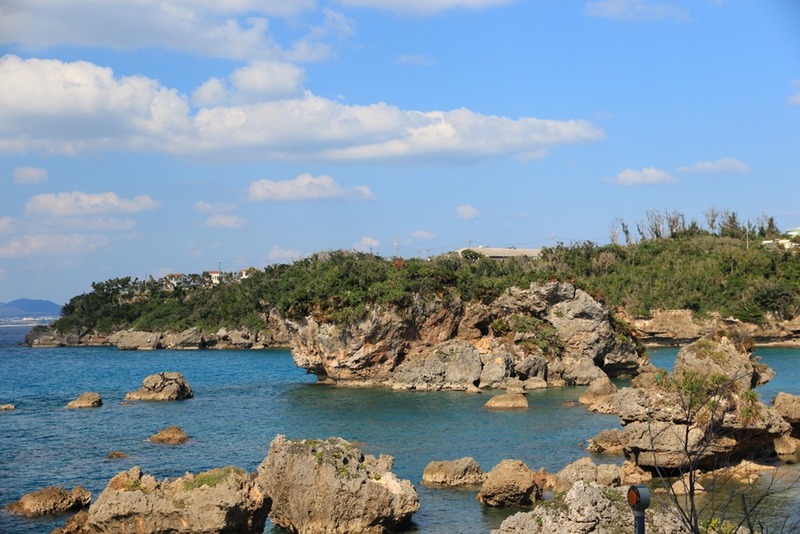 Today, I’ll go over the sights south of Nago, and tomorrow, Mr. Selfish will go over the sights north of Nago. 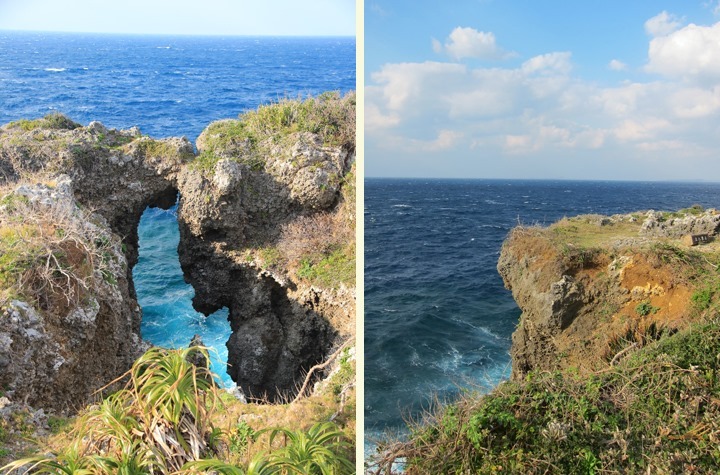 Cape Manzamo is a scenic rock formation near Onna Village, which is on the way to Nago. 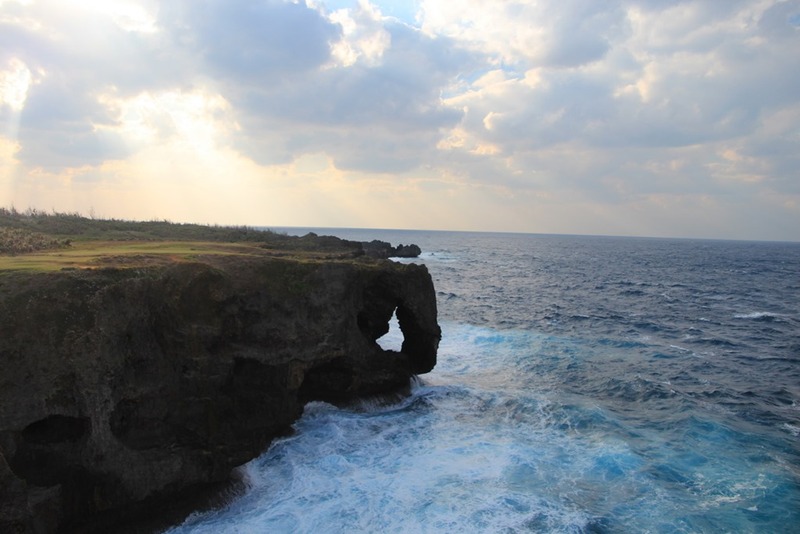 It faces the East China Sea and is a popular viewing spot for sunset. Mr. Selfish and I didn’t visit during sunset but we found it beautiful nonetheless. 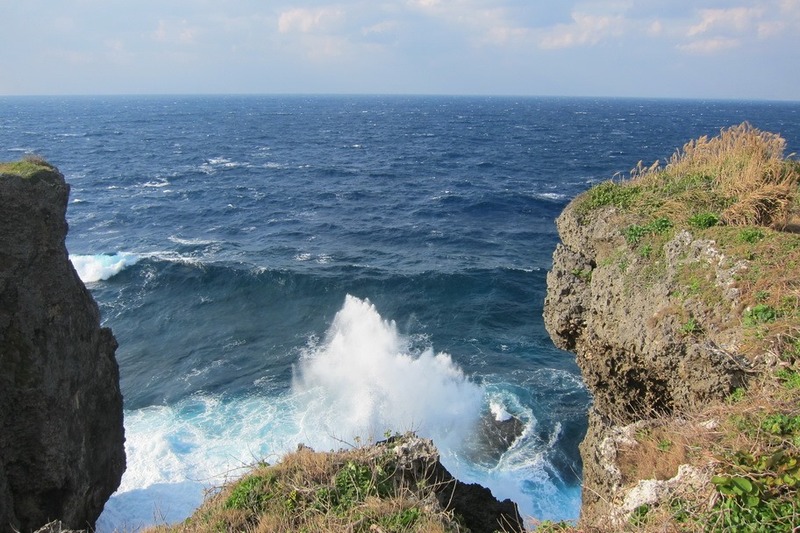 We mistakenly thought that we could hike to Cape Manzano. 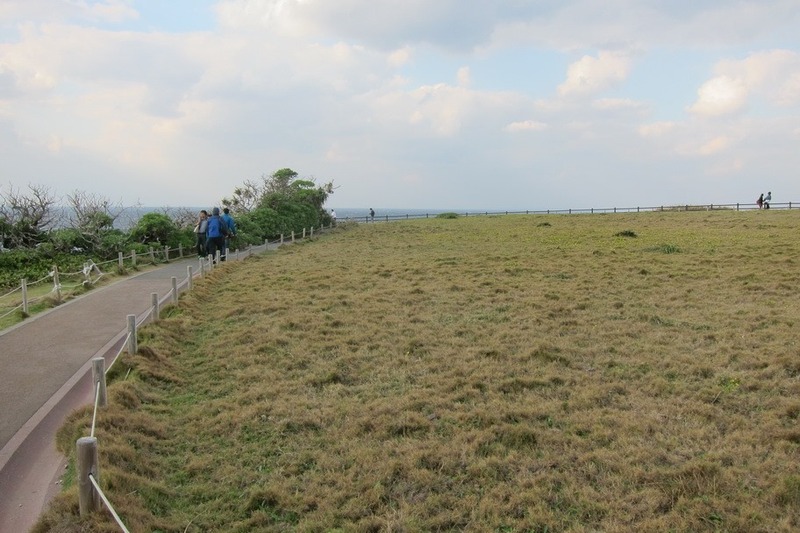 In actuality, it is a completely paved circular path. We walked around it a couple of times, but be warned it can get quite windy and cold. You can see the Intercontinental Hotel in the background of the photo above. 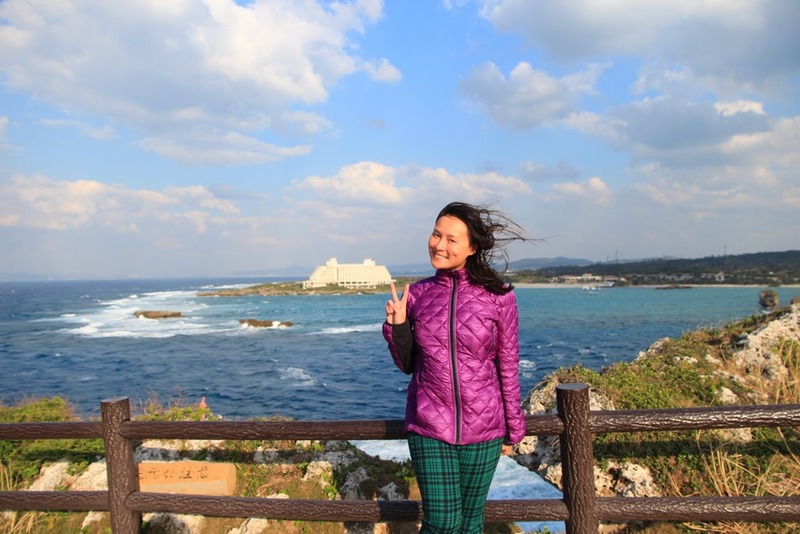 It looked like a nice property but we opted to stay at the Ritz-Carlton in Nago instead. 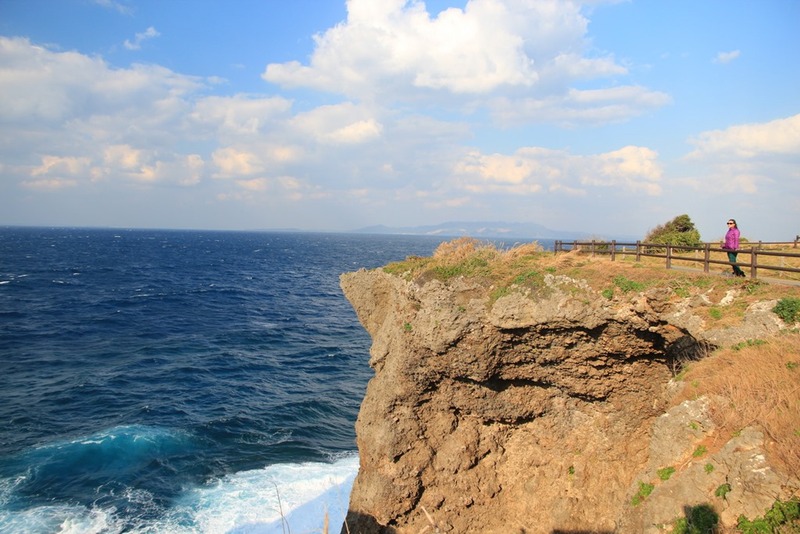 If you’re driving from Naha to Nago, I would definitely take a quick stop at Cape Manzano. It’s free, beautiful, and easily accessible. 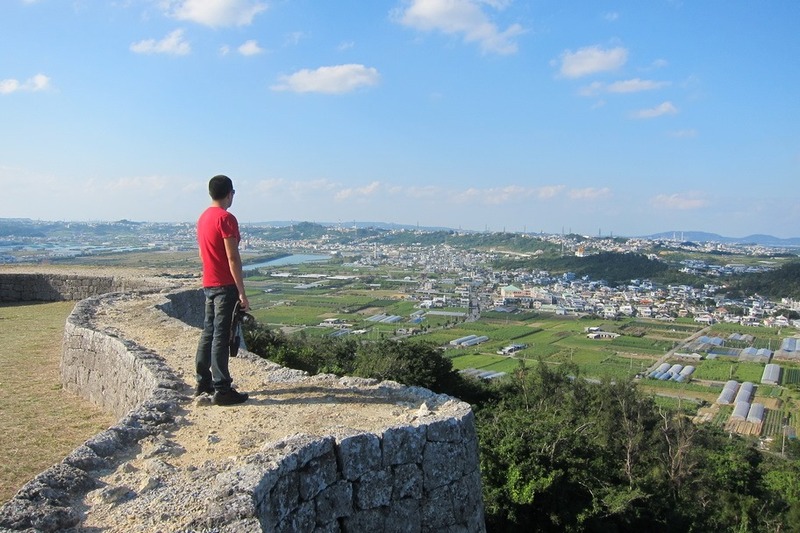 Mr. Selfish and I hadn’t planned on visiting the Nakagusuku Castle Ruins. 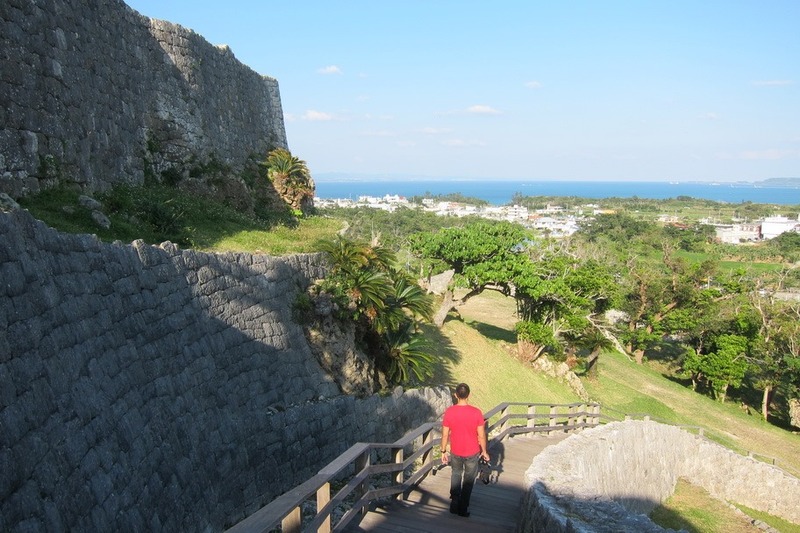 We ended up having some time on our hands during our last day in Okinawa and just followed the signs to the ruins. 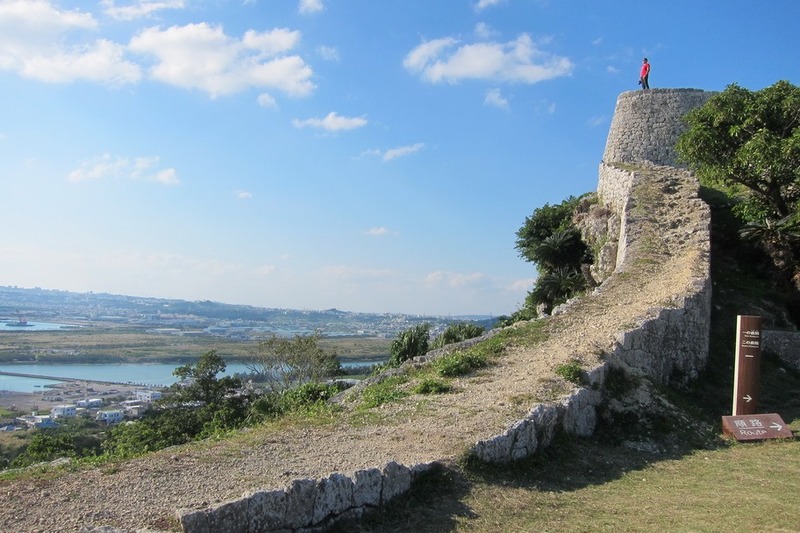 We were delighted to find that the Nakagusuku Castle Ruins were quite scenic with a great view of Okinawa. 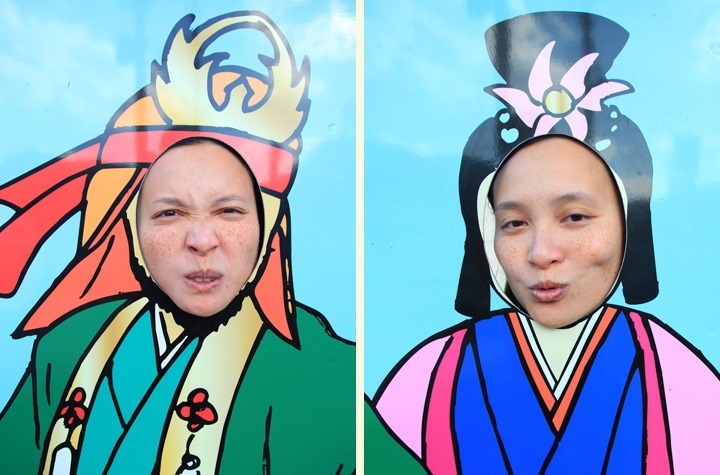 As an added bonus, there were also some cutouts nearby allowing me to take some silly photos. 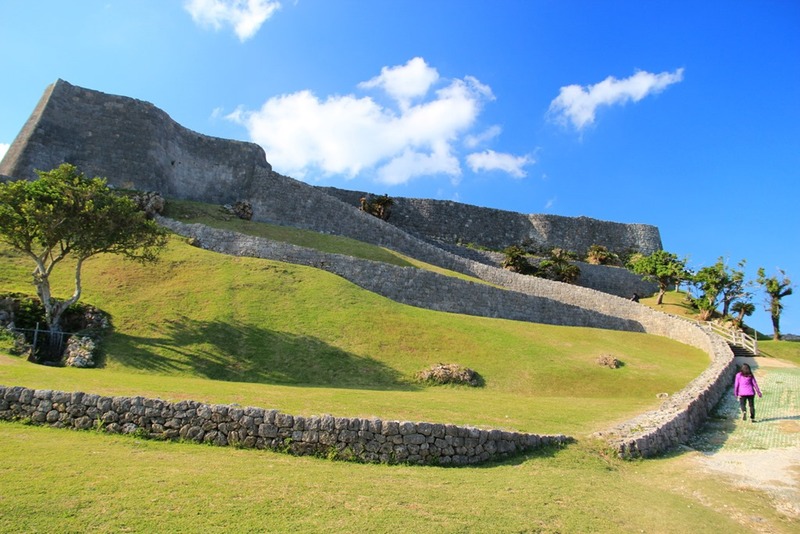 It is free to visit the Nakagusuku Castle Ruins. I definitely recommend it if you’re in the area. 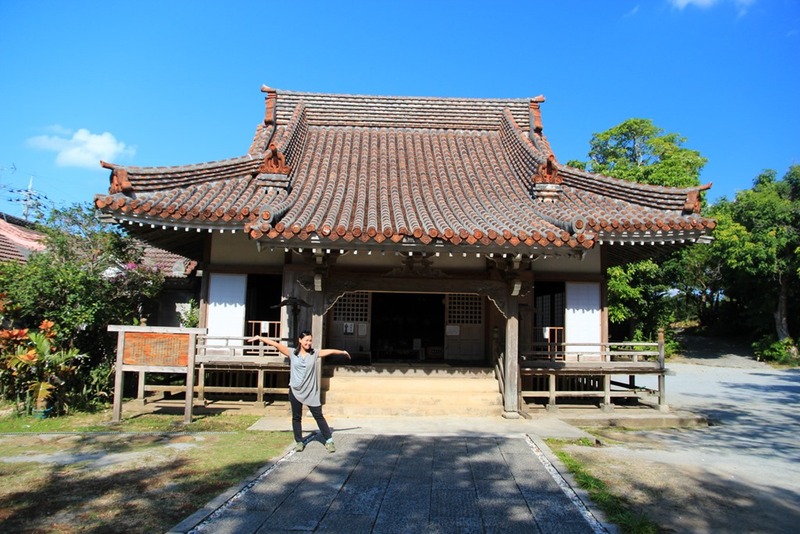 Mr. Selfish and I drove all the way to Kin Kannon-do Temple, because we heard that there was a cave near the temple where hundreds of awamori bottles were being aged. And that was as far as we made it. 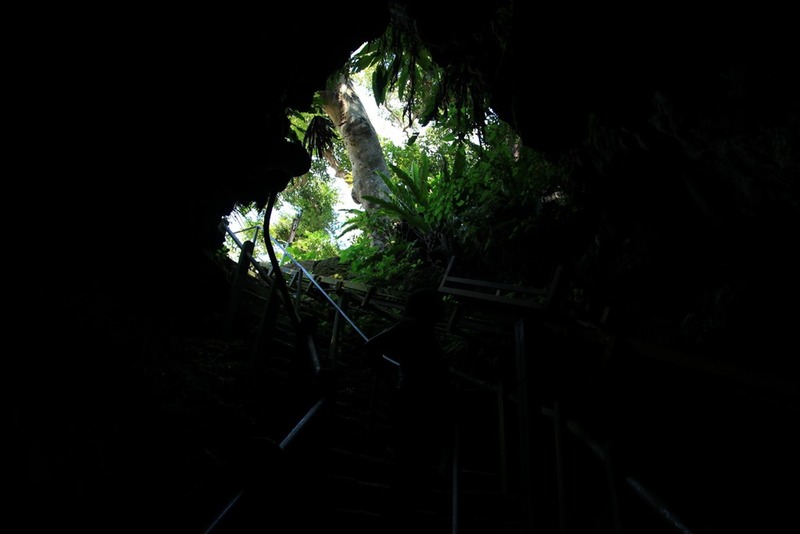 It looked really slippery and dark, so we opted not to go further. Yes, I know – we punked out. 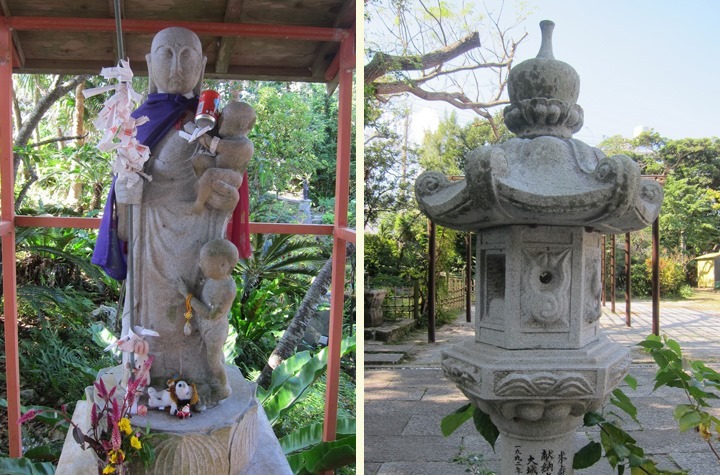 As a consolation, here are some photos of the areas near the temple above ground. 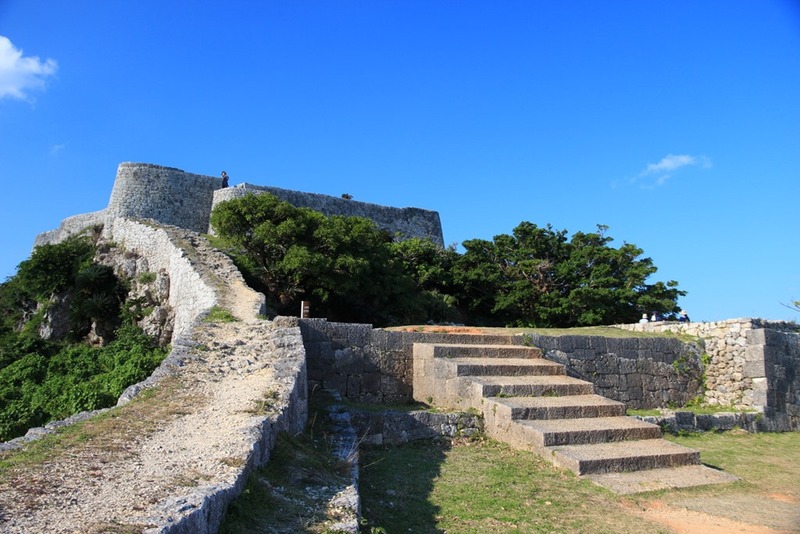 Lastly, Mr. Selfish and I drove to Ikei Island to take a look at the deserted beach and hopefully find ourselves the Ikei Castle ruins. 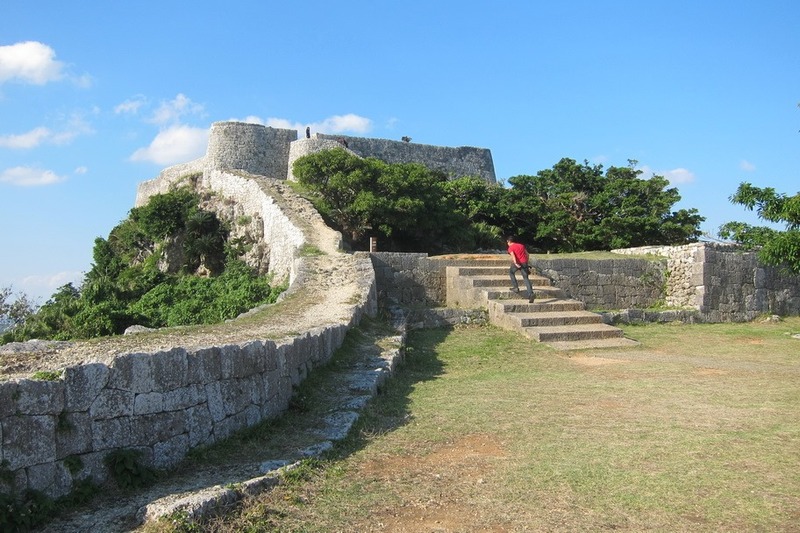 Although we did find deserted beaches, we did not find the Ikei Castle ruins. 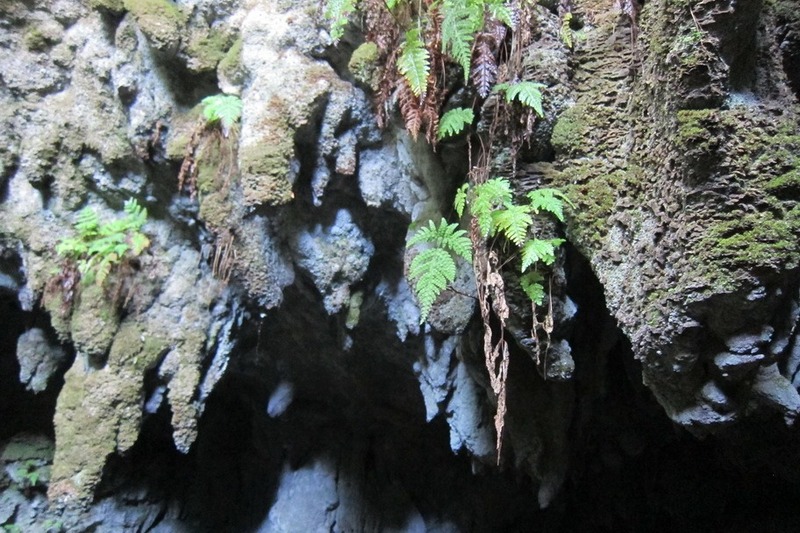 Apparently, they are quite difficult to find and the unmarked path to it is full of spiders. 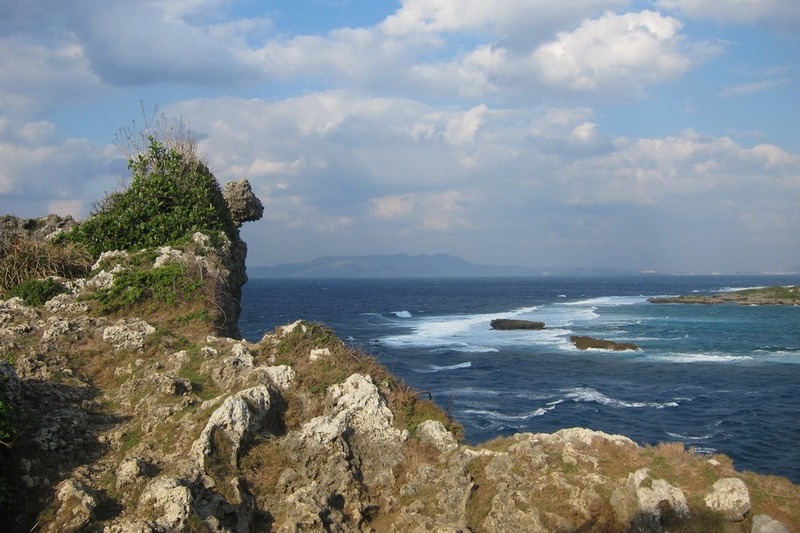 I wouldn’t drive all the way to Ikei Island unless you are really into beaches. There isn’t much to do all the way out there. There aren’t even any Family Marts or Lawsons! 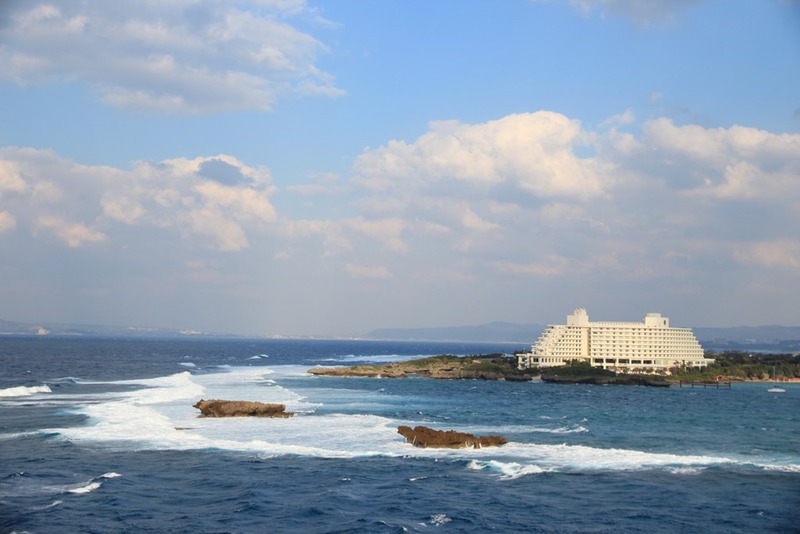 Tomorrow, Mr. Selfish will go over our trips to Okinawa Churaumi Aquarium and the Pineapple Park.